15.78 ACRES, 3 BEDROOM, 2 BATH, DOUBLE WIDE MANUF. HOME. 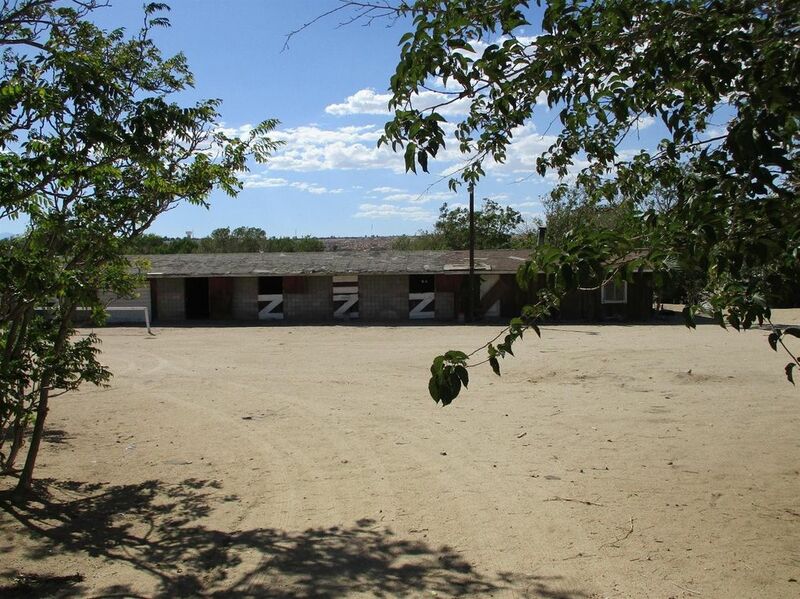 LARGE CEMENT BLOCK HORSE BARN WITH 5 STALLS, SINGLE CAR GARAGE, AND ROOM THAT COULD BE STUDIO OR WORK SHOP. PROPERTY HAS 2 WELLS, AND 3 SEPTIC SYSTEMS, PUBLIC WATER, NATURAL GAS ON PROPERTY. TONS OF DIRT BROUGHT IN TO BRING PROPERTY ABOVE FLOOD PLAIN. BACK OF PROPERTY FACES MOJAVE RIVER. LOTS OF TREES. PROPERTY IS FIXER-UPPER PROPERTY. BUYER TO VERIFY ALL UTILITIES AND USE WITH COUNTY AND UTILITY COMPANIES. Cross Street: S OF WILDERNESS CT. Directions: 15 FREEWAY NORTH TO D ST OFF TO NATIONAL TRAIL HWY NORTH TO PROPERTY ON LEFT.